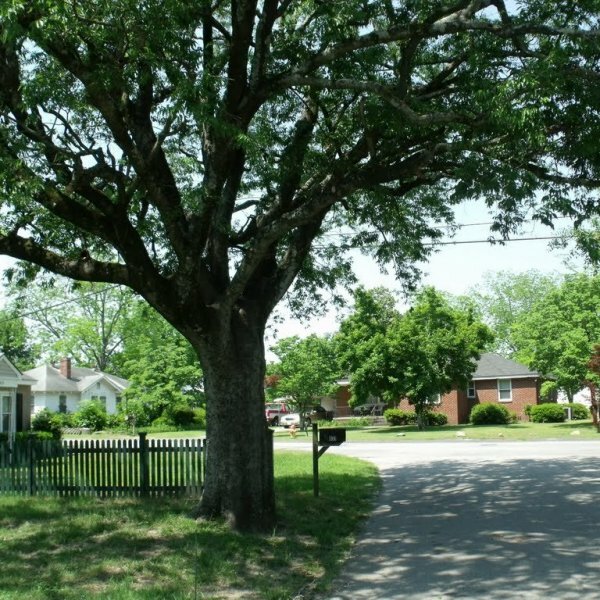 This is a tough shade tree that grows in a wide range of soils. This tree may be used as a lawn tree or street tree. 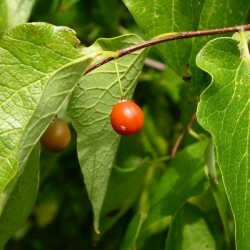 Sugarberry is basically a southern version of common or northern hackberry (Celtis occidentalis). 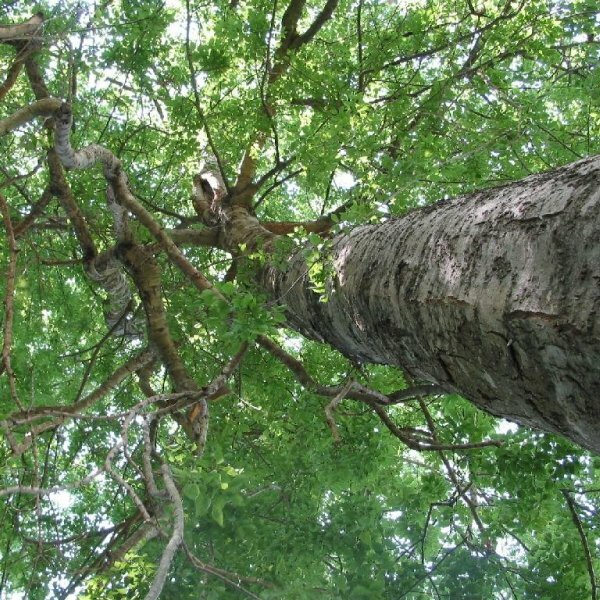 Sugarberry differs from common hackberry inter alia by fruits are juicier and sweeter, bark is less corky, leaves are narrower with mostly smooth margins, better resistance to witches’ broom and less winter hardiness. Sugarberry is a medium to large sized deciduous tree that typically grows 60-80’ (less frequently to 100’) tall with upright-arching branching and a rounded spreading crown. This tree typically occurs in moist to wet soils along streams and floodplains. Mature gray bark develops a warty texture. Insignificant, mostly monoecious, greenish flowers appear in spring (April –May), with male flowers in clusters and female flowers solitary. Female flowers give way to an often abundant fruit crop of round fleshy berry-like drupes maturing to deep purple. Each drupe has one round brown seed within. Fruits are attractive to a variety of wildlife. Birds consume the fruits and disperse the seeds. Fleshy parts of the fruit are edible and sweet. Ovate to oblong-lanceolate, rough-textured, untoothed, glossy to dull green leaves (2-4” long) have mostly uneven leaf bases. Germination 1. 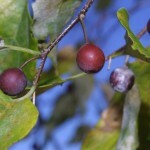 Submerge the hackberry seeds in water for at least 24 hours. This softens the seed’s outer core, allowing water and nutrients to penetrate. 2. Dampen enough single sheets of paper towel to accommodate all the hackberry seeds you’re starting. The paper towel should be damp, not soaking wet. 3. Remove a seed from the water and place it into the center of the paper towel. Fold the paper towel to create a pouch. Turn the pouch over to prevent the sides from opening. Repeat this process on the remaining seeds. 4. Place the seeds in a single layer inside a zippered plastic bag. Don’t close the bag before placing it inside a refrigerator. The open bag allows air to flow inside the bag, which is crucial for the seeds to germinate and prevents mold formation. 5. Allow the seeds to remain in the cold until they begin to sprout. Pay attention to the paper towel and moisten when necessary. Once the seeds have sprouted, pull them out of the fridge. Normally it takes 30-60 days. 6. Place the seeds in separate plastic pots filled with well-drained soil. Dig a 3/8-inch hole for the sprouted seed. Place the sprouted seed into the hole and backfill with the original dirt. Cover the soil with a thin layer of mulch. 7. Store the plants in a warm area until they have begun to sprout roots. 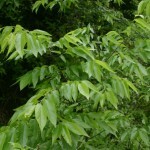 Once this occurs, the hackberry seedlings are ready to be planted. Plant the seeds in an area that receives full sun. 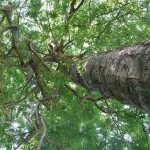 The hardy tree thrives in almost any type of soil, including loamy, acidic, alkaline, rich or clay.